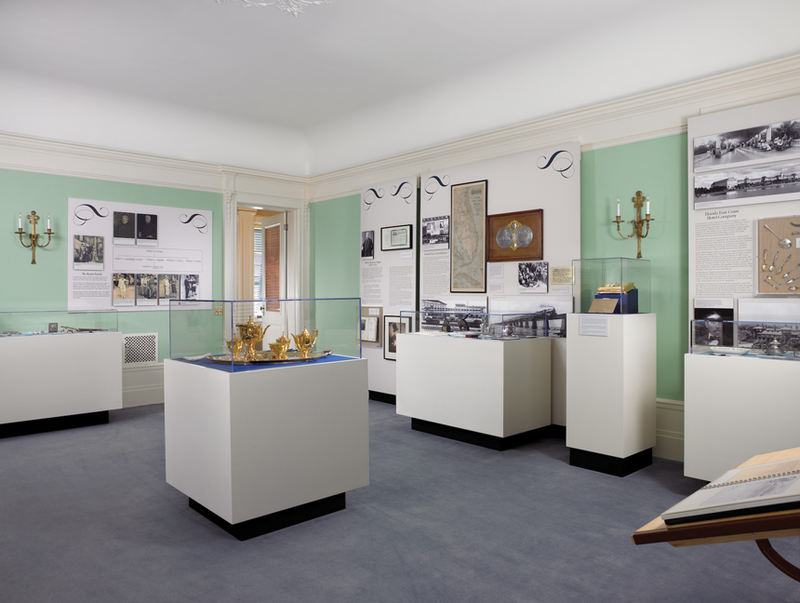 Using artifacts and images from Henry Flagler’s life and career, the Flagler Kenan History Room gives visitors a sense of Flagler’s extensive accomplishments as a founding partner in the Standard Oil Company and as Florida’s most important developer. Among the objects is an 18-karat gold replica of the Western Union telegram sent to Henry Flagler to announce the completion of the Key West Extension. The original telegram and gold box adorned with decorative motifs related to Florida and the railroad was made by Tiffany & Co., and was a gift from the employees to Flagler during the dedication of the Over-Sea Railroad in 1912. The room also includes numerous artifacts related to Mary Lily Kenan Flagler and the Kenan Family.